Two and a half years after it was created to prevent the bitterly contested 2014 presidential election from plunging Afghanistan into turmoil, the future of the National Unity Government (NUG) is shaky, as is broader political stability. The NUG is beset with internal disagreements and discord and facing a resurgent insurgency. Several options are being discussed in Afghan and international circles for how best to tackle the political and constitutional tensions that, if left unresolved, would increase the risk of internal conflict and insecurity in an already fragile state. The only promising way forward is for the two protagonists, President Ashraf Ghani and his Chief Executive Officer (CEO), Abdullah Abdullah, to acknowledge that the stability of their government and country requires them to work together. KABUL, Afghanistan — The sky-tearing blast last week was unlike anything the villagers around the Acchin valleys in the eastern Afghan province of Nangarhar had ever heard. It set off panicked phone calls and fearful speculations until word spread that the explosion was not a new insurgency strike but an air attack by the United States. The onslaught employed one of the few bombs to have its own set of names — the GBU-43/B, otherwise known as the Massive Ordnance Air Blast, or the “Mother of All Bombs” (MOAB). It was the first time the 21,000-pound bomb, which covers a 1,000-yard radius, has been used in combat. The strike, directed at a network of tunnels used by insurgents, drew global attention to the long-running conflict in Afghanistan. “It was the right weapon, for the right target,” General John W. Nicholson, commander of the US forces in Afghanistan, told a room of journalists in Kabul on Friday afternoon. But it wasn’t just Americans who were enthusiastic about the strike. Despite the worries sparked worldwide by the news, local Afghan leaders were cheering the MOAB. The 14th Dalai Lama’s April 4-13 visit to Tawang in the northeastern Indian state of Arunachal Pradesh, over which China lays claim, drew thousands of followers. Among these were some 3,000 Bhutanese, who trekked across mountains to see the Tibetan spiritual leader (India Today, April 9). Bhutan shares a disputed border with Tibet and has close ties with Tibetan Buddhism, complicating its relationship with China. The Sino-Bhutanese border dispute involves 764 square kilometers (sq km) of territory. Beijing claims 495 sq km of territory in the Jakurlung and Pasamlung Valleys in north-central Bhutan and another 269 sq km in western Bhutan, comprising the Doklam Plateau (Bhutan News Service, January 1, 2013). Doklam Plateau abuts Chumbi Valley, which like the Tawang salient that adjoins Bhutan’s eastern border has enormous strategic significance for China, Bhutan as well as India. India’s defense of its northeast would be undermined should Bhutan cede control over it to China. Perhaps it is time for the government of India to practise some magnanimity and farsightedness and reach out to the descendants of Pravir Chandra. Getting them on board, perhaps giving Bastar a Union Territory status with a popular Rajpramukh might just make the difference. It is fashionable among leftists to deride monarchs and monarchies. They have no objection to new hereditary leaders – the Nehru-Gandhis, the Trudeaus, the Assads – but kings and queens are objects of derision. Conservatives know the value of legitimate institutions like monarchies. Our Founding Fathers and that outstanding duo – Sardar Vallabhbhai Patel and V P Menon knew it well. Rajas and Nizams were retained. The Maharaja of Jaipur was reincarnated as a Rajpramukh and in order to cater to the sensitive situation, the Maharaja of Udaipur was called a Maharajpramukh. Jawaharlal Nehru invited the said monarch to come to the citadel of Delhi in 1947. The gracious Maharaja did what his ancestors had sworn never to do until Delhi was really free – at least in his family’s assessment. Even the obdurate Nizam was made a Rajpramukh. By a clever sleight of hand, the story was spread that the Nizam was wise and reasonable and had been the victim of Qasim Rizvi and the Razakars rather than what many felt was the other way around. This made Hyderabad’s integration that much easier and eliminated the possibility of an international dispute bubbling up. The launch of China’s second aircraft carrier this week is an important and depressing moment for India. The “Type 001A” -- likely to be named the “Shandong” -- will give China an edge for the first time in the carrier race with its Asian rival, a literal two-to-one advantage. 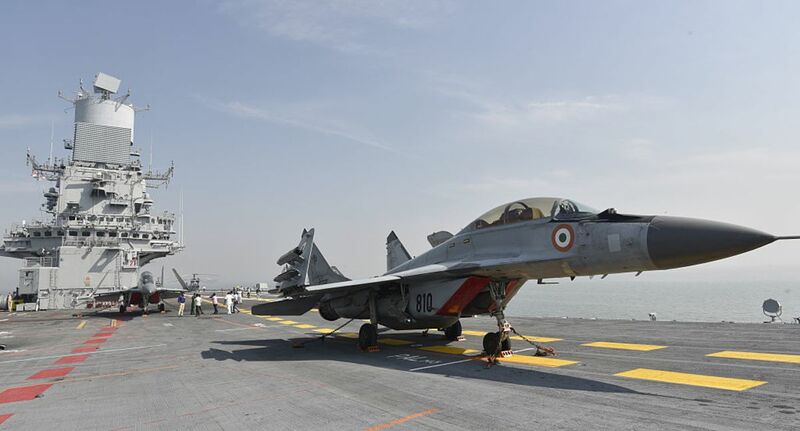 After decommissioning the INS Viraat earlier this year, the Indian Navy is down to a single carrier, INS Vikramaditya. Worse, the Shandong has been built at China’s own giant shipyard at Dalian; Vikramaditya is merely a repurposed 1980s-era Russian carrier formerly known as the Admiral Gorshkov. Even more telling than the raw numbers is what China’s progress says about India’s ability to provide security in its own backyard. Chinese naval strategists have open designs on the Indian Ocean: According to one, “China needs two carrier strike groups in the West Pacific Ocean and two in the Indian Ocean.” The government of Prime Minister Narendra Modi has talked a great deal about revitalizing the Indian military; it’s opened the defense sector up to greater foreign investment and is building a much-closer relationship with the U.S. military, largely with China in mind. But spending has lagged. Worse, successive governments simply don’t seem to have thought through where best to direct those scarce resources. XINJIANG: OUR OTHER NORTHERN NEIGHBOR. East Turkestan, also known as the Xinjiang Uyghur Autonomous Region of China, lies in the very heart of Asia. Situated along the fabled ancient Silk Road, it has been a prominent centre of commerce for more than 2000 years. The land of East Turkestan gave birth to many great civilizations and at various points of history it has been a cradle of scholarship, culture and power. The current territorial size of East Turkestan is 1.82 million square kilometres. The neighbouring Chinese province annexed part of the territory as a result of the Chinese communist invasion of 1949. East Turkestan borders with China and Mongolia to the east, Russia to the north, Kazakhstan, Kyrgyzstan, Tajikistan, Afghanistan, Pakistan and India to the west, and Tibet to the south. East Turkestan has a rich history and a diverse geography. It has grand deserts, magnificent mountains, and beautiful rivers, grasslands and forests. East Turkestan is the homeland of the Turkic speaking Uyghurs and other Central Asian peoples such as Kazakhs, Kyrgyz, Uzbeks, Tatars and Tajiks. On May 13, Beijing will host a summit meeting of countries participating in its massive infrastructure initiative known as “One Belt, One Road”—a belt of overland corridors and a complementary road of sea routes linking China to Eurasia and Africa. 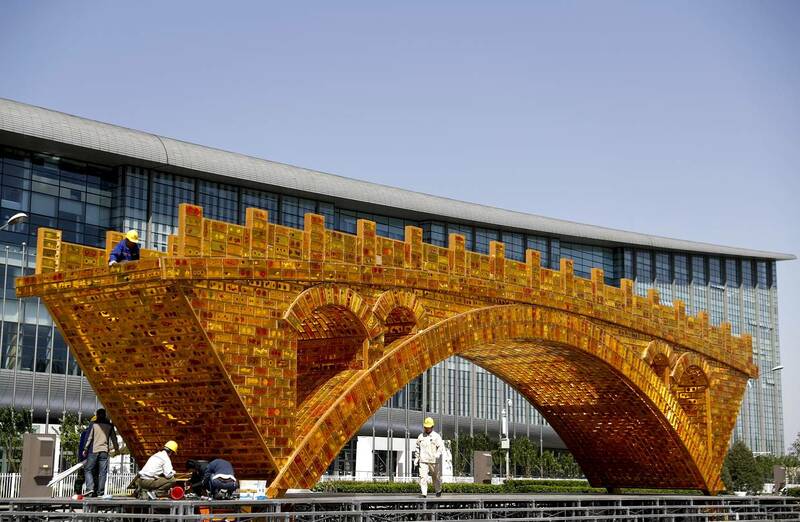 Neighboring countries may benefit from Beijing’s investment, but investors have reason to be wary. As a U.S.-led international coalition helps local forces recapture most of the territory once seized by the Islamic State of Iraq and Syria (ISIS), the two countries face underlying conflicts and sectarian tensions that continue to fuel cycles of violence and extremism. At the same time, as many as 31,000 foreign fighters—from 86 countries on five continents—have traveled to Iraq and Syria to join ISIS and other extremist organizations, and some are heading home. Meanwhile, ISIS has gained a foothold in Afghanistan, Libya, Yemen, and elsewhere. Cementing military gains and curbing extremist violence requires long-term stabilization based on political settlements, social reconciliation, and improved governance. Sustaining the Peace. USIP and its local partners provide advice and training to strengthen the ability of community and national leaders to resolve their own conflicts without violence. In Iraq, teams of mediators have facilitated, with cooperation from officials in Baghdad, starting in 2007 during an earlier insurgency in Mahmoudiyah, and more recently in Bartella, Tikrit, Yathrib, and Hawija. A 2015 agreement in Tikrit allowed more than 300,000 people to return to their homes, and the mediation methods developed are being applied elsewhere, including near Mosul. When faced with adversaries who seemed able to match or counter U.S. military-technological superiority, the Department of Defense began an intensive effort to invest in a new generation of capabilities designed to restore U.S. military preeminence or overmatch. This effort was labeled the Third Offset Strategy in recognition of two prior technology investment strategies that had, or so it was asserted, successfully countered advances in Soviet military capabilities. The first two offset strategies were designed with a particular adversary in mind, the Soviet Union and its allies, with a specific problem to overcome: a rapid conventional offensive against the North Atlantic Treaty Organization (NATO) in Europe backed up by the threat of nuclear escalation. The first offset strategy was the widespread nuclearization of the U.S. military as a way of cost-effectively countering the massive Soviet/Warsaw Pact advantage in conventional forces. Once the Soviet Union achieved strategic nuclear parity with the U.S., the first offset strategy was rendered moot. U.S. Defense planners then invested in stealth, precision navigation and targeting, and airborne intelligence, surveillance and reconnaissance to defeat Russian conventional forces. The best-known element of this second offset strategy was the AirLand Battle concept which sought to employ U.S. ground forces to fix advancing Soviet formations while airpower conducted deep strikes, including by early stealth aircraft, intended to disrupt the Soviet offensive. Secretary of State Rex Tillerson committed what amounts to an unconscionable sin in the eyes of many foreign policy watchers when he wondered aloud two weeks ago during a meeting in Lucca, Italy, "Why should U.S. taxpayers be interested in Ukraine?" There is no calculation, no balance sheet that can prove any of this. There is nothing that would appeal to a CEO or his shareholders. Whatever we have “invested” in Ukraine...will not show an immediate profit. To see the value of a secure, pro-Western Ukraine, you have to see the value of an alliance going back 70 years. Richard Haass, president of the Council on Foreign Relations, stressed that abandoning Ukraine to Vladimir Putin’s tender mercies could spur more states to pursue nuclear weapons. Ukraine was encouraged, under the Budapest Memorandum of December 1994, to relinquish its nuclear weapons after the collapse of the Soviet Union, in exchange for security assurances from both Russia and the United States. Mark Moyar’s op-ed, “America’s Dangerous Love for Special Ops,” is at best, ill-informed and at worst, contemptuous of special operations forces. To be sure, special operations have not been able to deliver what Moyar calls, “strategic success.” This, to a significant degree, has been the result of misuse of special operations forces or more specifically, “conventionalizing” their missions. But Moyar’s assertion that “strategic victory has required the integration of special operations with both convention forces and civilian national security agencies” is laughable. What strategic victories is he referring to, Afghanistan, Iraq, Vietnam? While Moyar claims that special operations rarely produce strategic success, he acknowledges that special operations have produced “frequent and impressive tactical results.” In one of Clausewitz’s lectures on “Small Wars” held at the Prussian War College in 1810 and 1811, he said that ”…the entirety of Small Wars belongs to tactics,” but what becomes clear is that the reasons for small wars is based on the necessities of strategy, or perhaps for the US, conventional military strategic ineffectiveness. Clausewitz is clear that Small War can serve tactical, strategic and policy ends. We see the confluence of tactics and strategy in both small wars and special operations. Kishore Mahbubani is a former Singaporean diplomat who served twice as ambassador to the United Nations. Currently, he is the dean of the Lee Kuan Yew School of Public Policy at the National University of Singapore. He is the author of “The Great Convergence: Asia, the West, and the Logic of One World.” This piece is part of a special RCW series on the U.S.-China geopolitical relationship. The views expressed here are the author’s own. In a 2005 speech before the National Committee on U.S.-China Relations, former World Bank President Robert Zoellick famously called upon the Chinese government to become a responsible stakeholder in the global system, and to work with other international powers to maintain stability and security around the world. One can assume that when Zoellick delivered his speech on that fall day in New York, there was no doubt in his mind -- nor in the minds of most American leaders and policymakers -- that the United States was in fact the responsible stakeholder in the international system, and that China was not. However, last year’s election of Donald Trump has spurred a remarkable reversal in global perceptions of the United States and China. President Trump has loudly proclaimed that he will pursue unilateralist “America First” policies, and he has also threatened to withdraw the United States from the World Trade Organization. In a 2016 interview with NBC’s “Meet the Press,” Trump said, "[W]e’re going to renegotiate or we’re going to pull out. These trade deals are a disaster. The World Trade Organization is a disaster." By contrast, after the two brilliant speeches delivered by Chinese President Xi Jinping in Davos and in Geneva in January 2017, China has projected itself as a defender of the prevailing multilateral order. Zoellick would not be able to deliver his 2005 speech in 2017. The roles have reversed. Effective solidarity among states has become a prerequisite for ultimately succeeding in the war of the West against jihadist terrorism. Yet, in the aftermath of the Islamic State’s brutal attacks in Paris during 2015 that left 129 dead, there began a discussion in the international media of whether the terrorist attacks against Israelis could be compared with the newest jihadist assault on European capitals. Recent events have challenged this European distinction. A cohesive military strategy is needed for the West, the Arab states that are threatened, and Israel. It stands to reason that, just as all three face similar threats, the models developed in Israel for dealing with terror merit attention in Europe and beyond. An important component of Israel’s struggle against terrorism is its population’s psychology, resilience, and capacity to counter what has unfortunately been one of the characteristics of this state from its very origins: the constant attacks against civilians in the streets, public structures, cafes, and buses. How do the Israeli people overcome being on the front line against terror? The answer lies in Israel’s history, sociology, education, and social values, from which today’s vulnerable Europe can learn much. Israel’s overall strategy of fighting terror is a comprehensive approach that was developed out of ongoing learning efforts. Understanding the goals and strategy of the enemy and the context in which it operates, and being agile enough to rapidly adopt adequate responses that build on former solutions enabled Israel to become a world leader in the fight against terror. Scott Pruitt, director of the U.S. Environmental Protection Agency told CNBC that he does not believe that carbon dioxide (CO2) is a primary contributor to climate change, essentially exonerating the influence of human beings on global warming. Given that the role of CO2 in the raising of temperatures on earth is by now basic and commonly accepted scientific fact, these comments from a man in such a crucial position in one of the largest CO2 producing countries in the world are alarming to say the least. Our infographic brings together NASA and NOAA data to show how earth's surface temperature has risen since 1880 - and in particular since1960 - and the upward curve of CO2 in the atmosphere since 1958. Major William R. Gery, USAF, is Program Manager for the U.S. Air Force Weapon System Evaluation Program at Air Combat Command. Major SeYoung Lee, Republic of Korea (ROK) Army, is a Student in the Military History Institution of ROK Army Headquarters. Lieutenant Colonel Jacob Ninas, USA, is a Branch Chief in the 704thMilitary Intelligence Brigade. In the past week, how many devices have you used that were connected to the Internet or relied on an algorithm to accomplish a task? Likely, the number is upward of 10 to 15, and most of those devices are used daily, if not hourly. Examples may include a Fit-Bit, cell phone, personal computer, work computer, home monitoring system, car, Internet television, printer, scanner, maps, and, if you are really tech savvy, maybe your coffee pot or refrigerator. With an average connection speed of 26.1 Mbps - 8.9 more than the U.S - in Q4 2016. Despite Norway gaining some ground since Q3, coming within 2.5 Mbps of the top spot, no other country really comes close. This chart shows the countries with the highest average internet connection speed in Q4 2016.